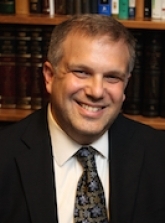 Jeffrey Stein is the Director of Institutional Advancement at Hadar. Jeffrey brings over eighteen years of strong organizational, development and fundraising skills to serve in this role. Previously, Jeffrey served as Director of Development for a Jewish Day School on Long Island; as Director of Development Operations at the American Jewish Joint Distribution Committee (JDC) for more than nine years; and in various roles at the Jewish Federation of Chicago for seven years.